We know that even the best software sometimes doesn't work exactly as planned or maybe as our clients expected. Having access to high quality support services to deal with minor 'how to' questions and more serious software errors is critical to the success of our clients so they can keep working at maximum efficiency. We have highly skilled, experienced CABS Software support consultants available via our dedicated Helpdesk. 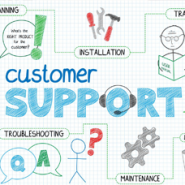 We also use a specialist Helpdesk and Incident Management application which incorporates a workflow engine and database application to manage all aspects of their software support and development processes. This, in conjunction with our Service Level Agreement, is used to manage the call escalation process for support calls for CABS. Support calls are managed and escalated according to their severity and the associated target response and fix times. So no matter what issue arises during your use of CABS you can be sure it will be dealt with quickly and effectively with minimum disruption to you working day.